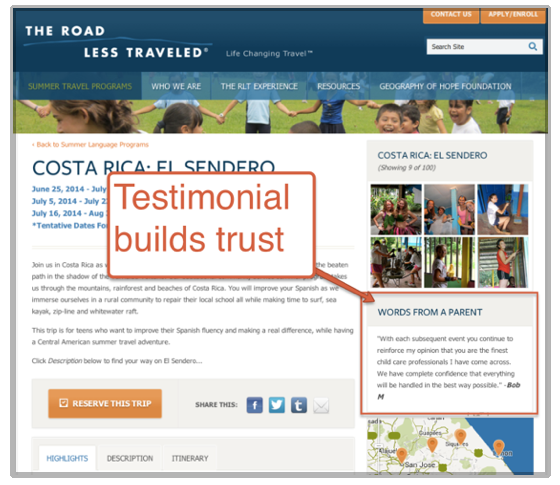 Never create a page of testimonials. They are far less effective when grouped together on a separate page. Why? Because no one visits websites to read testimonials. If you have one of these pages, just look at your analytics. It’s not a popular page, is it? 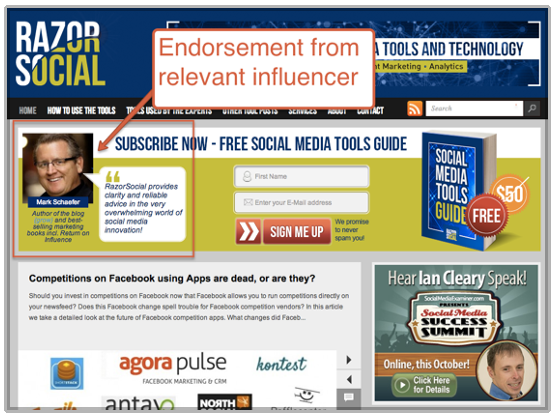 Ian Cleary’s Razor Social prominently features endorsements, complete with pictures. This really, really works. 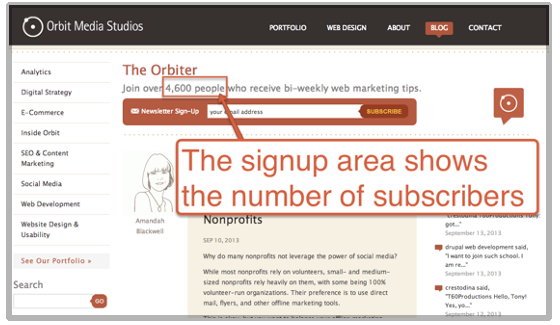 On the Orbit blog, improving the email signup formincreased the newsletter subscriber conversion rate by 1400%. Don’t try this at home if there are few or no social shares on a typical post. 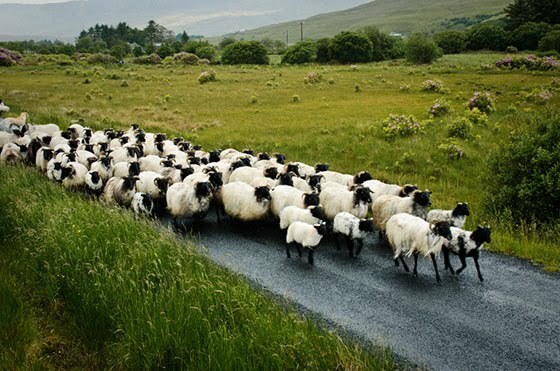 Social proof goes both ways. How is this helping your business? It’s better to have no proof than low proof. This works great for businesses involved in PR, but guest bloggers also have this opportunity. If you’ve ever guest posted on a well-known site, add the logo to your homepage or your bio page. Use an email folder to save emailed compliments. Use the favorite button in Twitter to save complimentary tweets. Take screenshots to save other complementary social media posts. Use a big envelope to save those handwritten thank you notes. Keep putting them out there. Try to put something on every page of your site. Pull quotes from LinkedIn recommendations, and add them to your team pages. 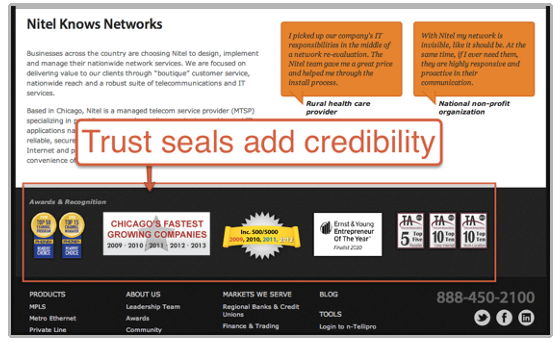 Even your thank you page is an opportunity to build more credibility. The music on this bandwagon never stops.